Many of us tend to underestimate the effect that proper sleep can have on our health. Though we might not get the recommended eight hours of sleep every day, we should do our best to ensure that we get at least six hours of uninterrupted sleep every day. One way we can keep tabs on our sleep patterns is by using the new Beditt sleep monitor. While conventional fitness trackers having the capability to monitor our sleep patterns are wearables and need to be worn on our bodies, the Beddit Sleep Monitor does its job quietly and can be hidden under our sheets. 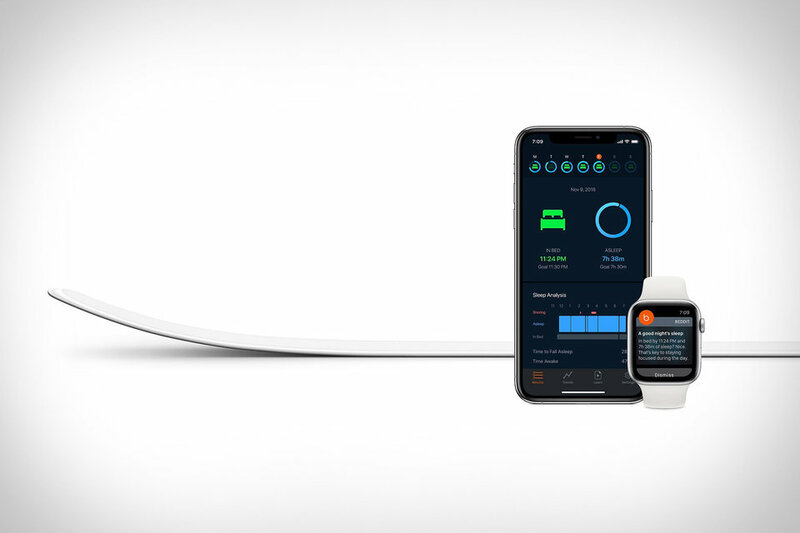 Made by a company that Apple bought in 2017, the sleep monitor automatically monitors the duration of our sleep, heart rate, breathing, snoring, and bedroom temperature and humidity. It pairs with our iPhones to send this analysis and heart rate data to the Health app on the phone. It can also be set to provide sleep reports, bedtime reminders, and tips. It is highly compact and is just 2mm thick and once it helps you to analyze why you are not getting adequate rest, you can make changes that will soon have you sleeping like a baby.